Video summary with the best moments of our presence in Cersaie 2018, where we have a stand conceived as a space to be lived and in which those who have visited us have been able to see in detail our innovative ceramic proposals. For Cersaie 2018, ITT Ceramic has designed and developed more than 25 new ceramic series, with a total of 125 exclusive models, manufactured in porcelain, white body and red body, in different formats and finishes. The aim of this rich diversity of novelties is to satisfy the requirements of any architectural or interior design project and the needs of all markets. Our novelties cover all the prevailing trends: from the texture of the cement to the richness and variety of the stones, going through the natural elegance of the marble and the industrial aesthetics of the metals, without forgetting the most authentic nobility of the wood. These are collections that transcend the minimalism and fleeting nature of contemporary ceramic proposals. In its space at the BolognaFiere, ITT Ceramic has also shown the 10 new series of Arklam Super Size (with 22 different models), both in 6 mm and 12 mm. This large-format sintered ceramic collection from the Saniceramic Group is becoming a benchmark in the market for the most demanding and exclusive projects by taking ceramic applications to a new dimension. 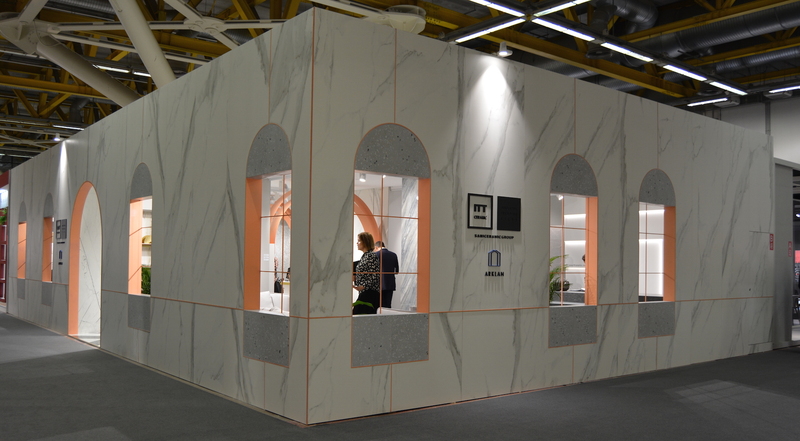 In this sense, visitors to the fair were able to see in situ this range of ceramic slabs that stands out for its high resistance, its hygienic qualities, its durability and its respectful character. with the environment. A perfect opportunity to get to know this collection of XXL ceramics in depth and to be able to appreciate in detail its impressive finishes, its realism, its nuances, its touch….. In short, to feel the ceramics.